Gangster movie genre has always found its space within different eras from the Hollywood film industry. It can be said that the world today is aware of different gangster mafia and the way they operate only after watching some of top Hollywood gangster movies of all time. 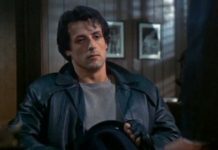 Although these Hollywood gangster movies are primarily based on the criminal organization known as Mafia, you can often draw some kind of inspiration from these movies or its characters. 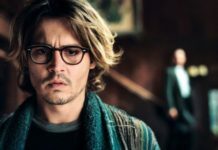 Not all the lead characters in these movies fit as role models, yet there are some who have gone down in the history of Hollywood as some of the most influential characters portrayed on the big screen. There are a number of Hollywood films based around gangster mafia, however, we decided to sort the full list and picked only those which don’t just create an impact on the audience, but also is different from one another in terms of story, theme or character portrayals. Well, most of us focus on the ruthless side of this mafia, these Hollywood gangster movies, on the other hand, draw our attention towards their personal lives, human values and try to give us a better or clearer picture about why these individuals choose a path that either ends in early death or imprisonment. Simply grab all the movies listed below and try watching them one by one if you are a gangster movie fan. If not, I would still recommend watching these films as a Filmy Keeday and learn a bit more about the gangster life through them. There’s no way this list can be completed without the Godfather movies. Thus, we have the 1972 Hollywood film The Godfather on top of the list. Starring Marlon Brando in the titular role as The Godfather alongside Al Pacino, who portrayed as his son in the movie, the film is about the family of Vito Corleone, played by Brando, and his rivalry with other New York-based crime families. 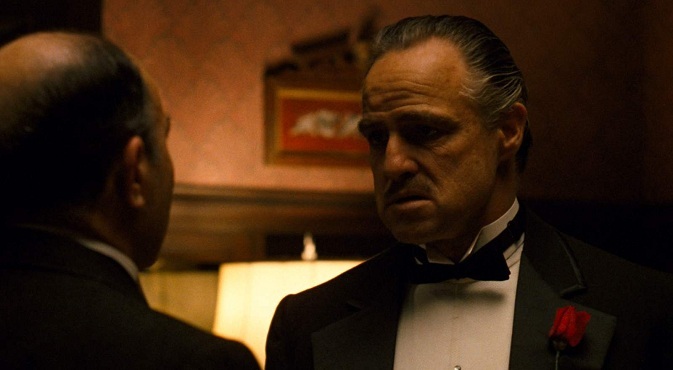 Despite Marlon Brando’s character being the real Godfather, the film can be termed as the stepping stone for Al Pacino’s character, who takes up the charge as the new Don Corleone after his father’s death and becomes The Godfather. Directed by Martin Scorsese, the 1990 American crime film Goodfellas is one of the marvels from the legend himself, who is popular for his crime based gangster films. Well, Goodfellas is no different from a typical Martin Scorsese film. 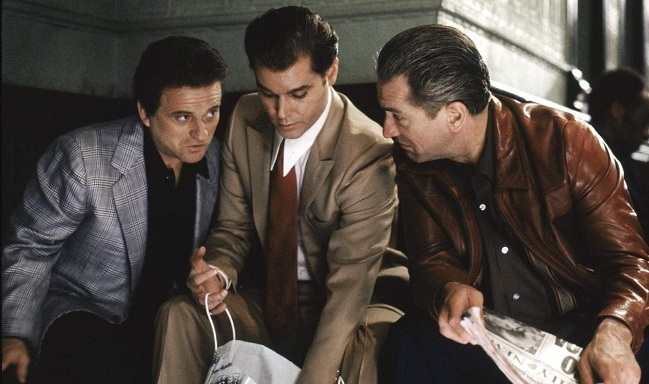 The film is based on a real story inspired by the non-fiction book Wiseguy written by Nicholas Pileggi, who also wrote the screenplay of Goodfellas with Scorsese. The movie talks about the ascension and the collapse of the mob associate Henry Hill and his friends set in between 1955 and 1980. 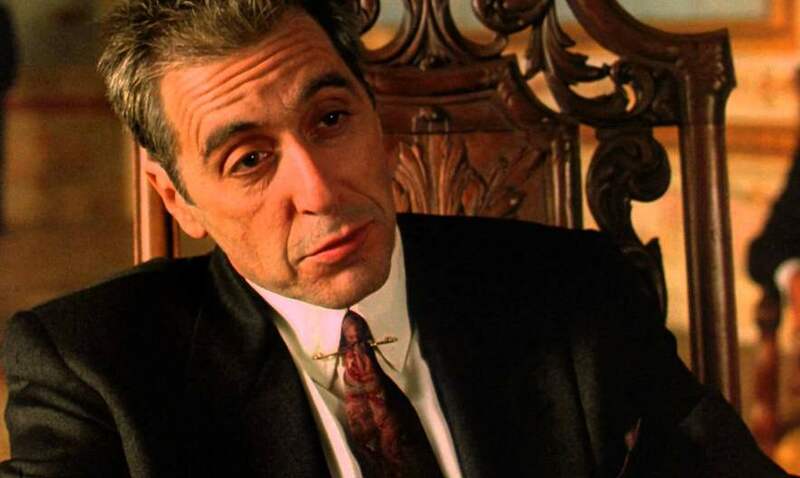 Well, if The Godfather I was about the fall of Vito Corleone and the rise of Michael Corleone, the second film in the series, The Godfather II narrates the story set within two different timelines making it both a prequel and a sequel to its previous movie. 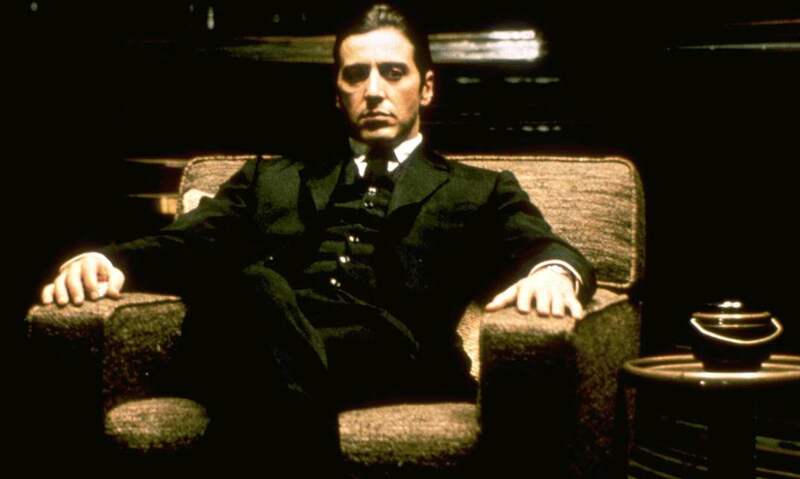 Yes, the 1974 Hollywood film, The Godfather II, picks up from the final events of the last movie following the life of Michael Corleone as the new Don of Corleone family. However, in a parallel storyline, the film also tells us the journey of Vito Corleone, portrayed by Robert De Niro, from his upbringing in Sicily, Italy to the establishment of his crime empire in the New York City. A Quentin Tarantino film, Pulp Fiction stars John Travolta, Samuel L. Jackson, and Uma Thurman. 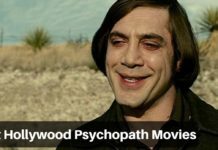 The film has generated a massive cult following over the years for its amazing screenplay, brilliant acting and most importantly, the graphic violence and punchy dialogues. The film also builds the career of the filmmaker Quentin Tarantino giving him an iconic status among the leading filmmakers in the industry. 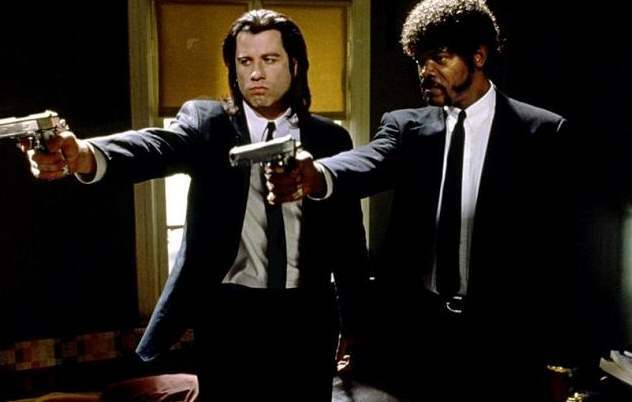 In addition to that, Pulp Fiction also helped in rejuvenating the careers of Travolta, Jackson, and Thurman. Another Martin Scorsese film, The Departed is an excellent film for anyone, who wants to witness conspiracies and plotting. The film depicts an ongoing war between the police force and the mafia. 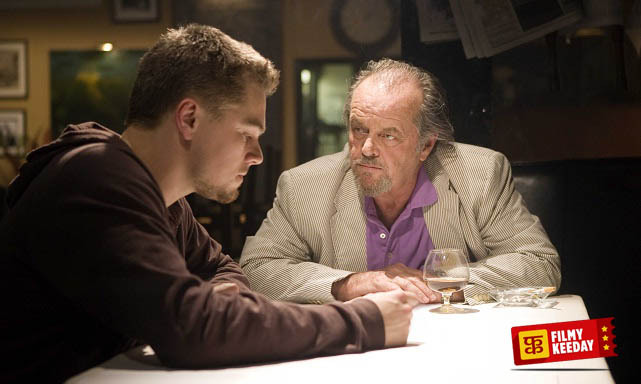 Although, the conflict being the highlight of the film, The Departed is much deeper than any other crime action thriller. The film narrates the story of two young men, who play moles for their respective team infiltrating two opposite worlds. A series of incidents is then followed by the teams to find the double agent. It may sound a bit confusing, but it is better to watch the film by yourself and try to unravel the complete mystery. The film stars an ensemble cast that includes Leonardo Dicaprio, Matt Damon, Mark Wahlberg, Jack Nicholson, Alec Baldwin, Vera Farmiga and many others. Scarface is an American crime drama film starring Al Pacino in the lead roles. 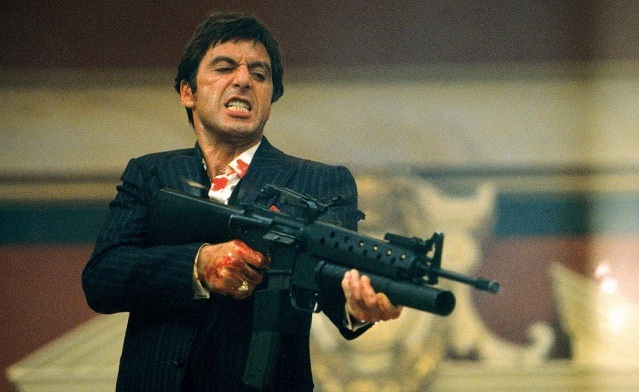 Scarface is the story of a Cuban Refugee Tony Montana, He came to Miami and become a drug Kingpin. It was released on December 9, 1983. Scarface is the remake of 1932 film with the same name. It was a successful film at the box office. 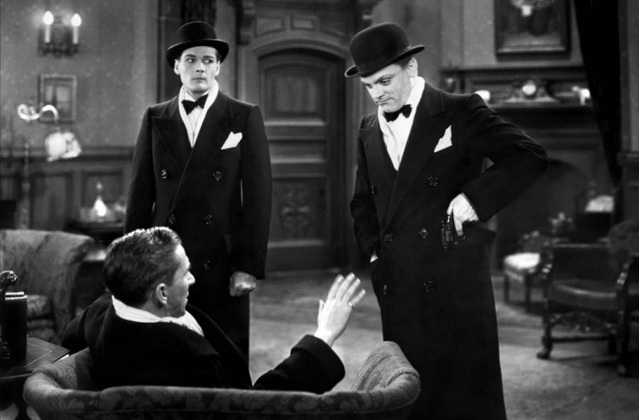 The Public Enemy is a 1931 American gangster film directed by William A. Wellman. Starring James Cagney in the lead role, alongside Jean Harlow, Edward Woods, Donald Cook, and Joan Blondell, the film follows the story of a young man in the prohibition-era urban America and his rise as a gangster in the criminal underworld making him The Public Enemy. Starring Russel Crowe and Denzel Washington in one of their best iconic roles, American Gangster pits them against each other in the film in a never ending battle. 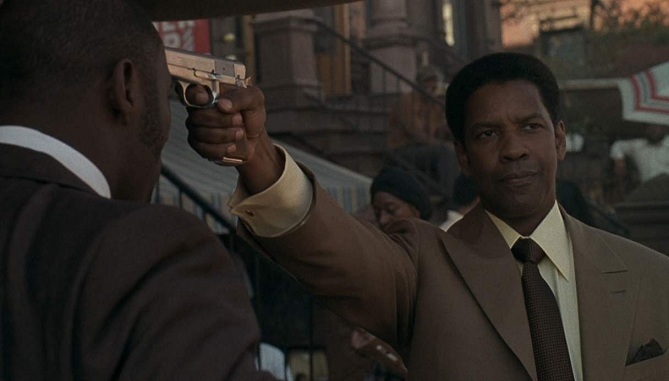 The film is based on the real-life criminal career of Frank Lucas, portrayed by Washington, who became a drug lord in America by smuggling heroin into the United States in the caskets of dead Vietnam War servicemen returning to the country on American service planes. There’s also an ongoing scuffle with the detective Richie Roberts, played by Crowe until Lucas is detained by a task force led Roberts for his crimes. Released after 16 years of The Godfather II, The Godfather III concludes the story of Michael Corleone, a mafia Don in the New York City. The film focuses on Michael’s attempts to legitimize his criminal empire while facing death threats and plots to kill him and his family members. The film is also known to include fictionalized accounts of two real-life events; Pope John Paul I’s death in 1978 and the 1981-82 Papal banking scandal by linking them to Michael’s business proceedings. Another 1931 American crime film, Little Caesar also narrates a similar story as that of The Public Enemy. 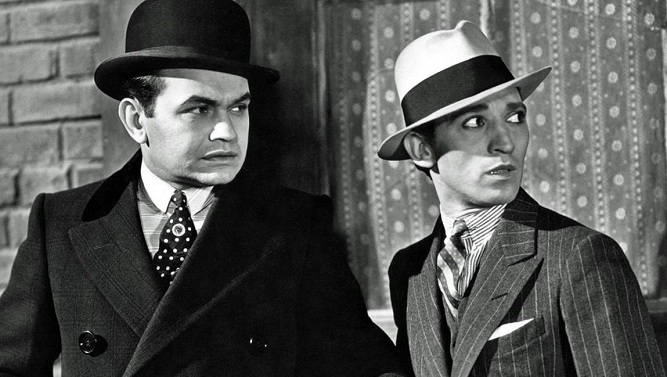 Released before The Public Enemy, Little Caesar is considered as one of the first full-fledged gangster films in Hollywood. It narrates a similar story about a street thug a.k.a hoodlum, who climbs up the ranks in the criminal organization until he reaches the upper levels of the organization. 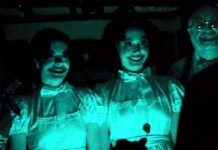 The screenplay of the film is adapted from a William R. Burnett’s novel of the same name. Yet another Martin Scorsese film, Mean Streets was released in 1973. The film stars Harvey Keitel in the lead role, whereas Robert De Niro plays the supporting lead. 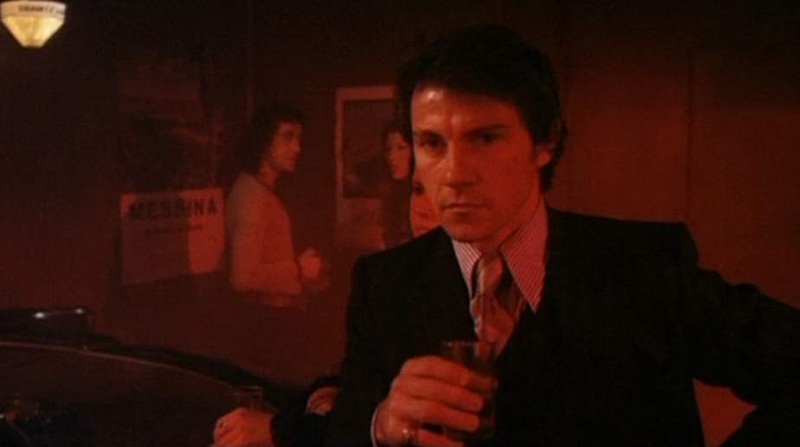 Following the life of Charlie, played by Harvey Keitel, who is a young Italian-American man trying to climb up the ranks in the local New York Mafia but is halted because of the irresponsible acts of his younger friend Johnny Boy played by Robert De Niro. The film tries to display the organized crime life in New York and how every single criminal activity is linked with one another claiming a well-known phrase that once you enter this world, there’s no going back. This list of Best Hollywood gangster Movies is created by Filmy Keeday. 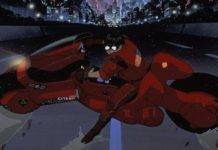 If you think that your favorite film is missing or you have a different kind of list, then you can share it in the comment section of this article.